Part of the deal for the camping weekend was that there would be smores. My mom promised that we would build a fire and I could have the delicious combo of crunchy graham crackers, creamy milk chocolate and toasted-to-perfection marshmallow. It was as glorious as I thought it would be. There's just something about standing around a camp fire in a cozy hoodie making smores on a crisp evening that screams fall. I felt a little bad when I got home, though, that while I was enjoying the great outdoors, Tim was stuck inside studying. I thought I'd try to replicate my favorite aspect of camping for him when I got home last night. My secret to smores at home is smearing one side of both graham crackers with nutella, then add semi-sweet chocolate chips. This gives the whole sandwich a little sticking power when you add the marshmallow. I toasted a marshmallow on our stove and put the whole thing together. 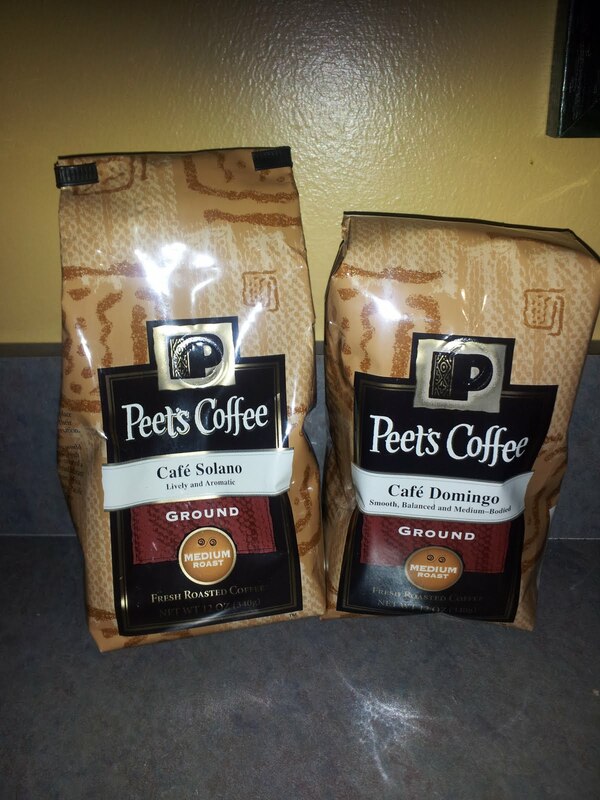 I served it all alongside some Cafe Solano from Peet's Coffee. As part of the Foodbuzz Tastemaker program, the company sent me a bag, along with a bag of the new Cafe Domingo. The Cafe Solano is a medium roast blend of a bunch of tasty coffees that made the whole house smell delicious when we shared a pot. Tim really enjoyed this coffee and insisted that we must buy more. I was a big fan as well and had some with my breakfast again this morning. 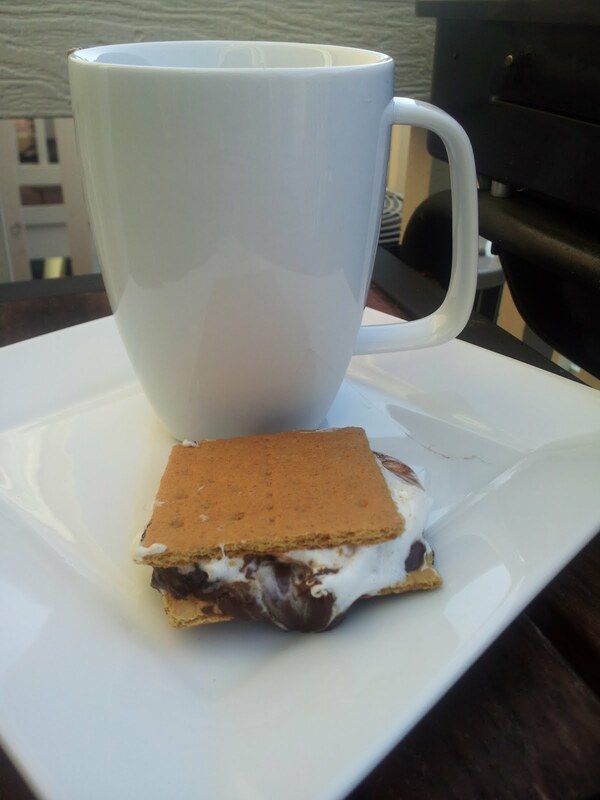 As for the smores, I made another for Tim tonight, so I think he's a fan.